For me, one of the most difficult parts of being on a gut healing diet, like GAPS, is the lack of pastries being made in my home. 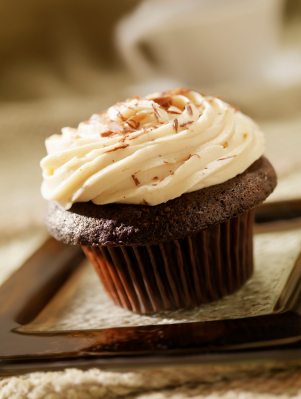 I’ve been a baker for most of my life…I can’t just shut that off. Many of the GAPS recipes for nut flour breads or treats require many eggs to hold it together. With my new found allergy to eggs, it’s been difficult to use typical GAPS recipes. The egg-free recipes I have found on the web are flavorless and have a gritty texture. Some people can tolerate these because, well, it’s better than nothing! I totally disagree. Which is why I have perfected this recipe for GAPS/SCD cookies. They are so yummy and a bit addictive (so be careful not to over do it!). I hope you enjoy them as much as I do. Preheat oven to 325. Remove seeds and skin of winter squash. Cut into cubes and pulse in a food processor until mostly pureed. Add nut butter, fat, cinnamon and salt. Process until smooth (about 2 minutes), scraping down the side of the bowl a couple times to make sure it’s well incorporated. 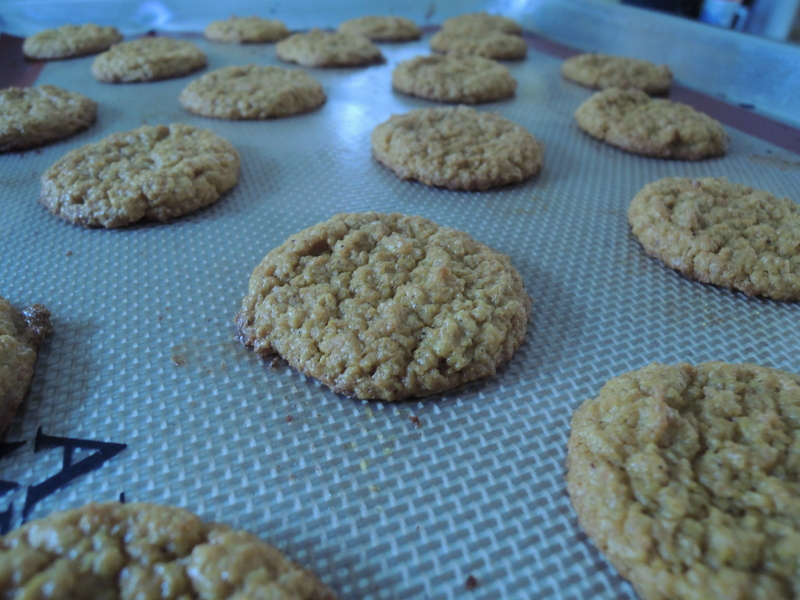 Scoop about 1 tablespoon of batter per cookie onto baking sheet and press down slightly. Batter will spread just a bit. Bake for 20-25 minutes. Turn oven off and let cool in oven. Remove from baking sheet and enjoy. Store in an airtight container in the refrigerator for up to a week. Makes about 3 dozen soft chewy cookies. Occasionally, if I will be out of the house for a long period of time without cooler access, I will dry the cookies out a bit more to make a kind of shelf-stable product that I keep in my pocket! These cookies are baked for 10 minutes at 350 and then the oven is turned down to 250 for an additional hour. 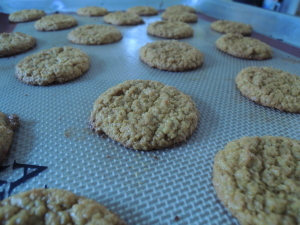 These will be a crunchy, but chewy cookie that keeps well at room temperature for a day or two. Just make sure to stay hydrated with bone broth or water with a bit of apple cider vinegar added when eating these dry cookies. Chocolate. I had been craving chocolate anything for months. Doing a 30 day sugar detox felt great and detoxifying. It’s a great way to ring in the warm weather. But, now I am ready to splurge! 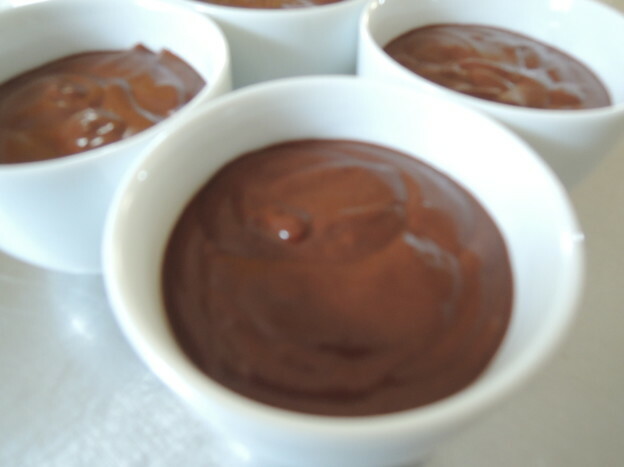 Here is my recipe for chocolate mint pots de creme. I used fresh mint leaves from Absalona Greenhouse, and organic, pastured (soy-free) eggs from Freedom Food Farm. I have also used duck eggs from Pat’s Pastured in the past with great results. I use raw honey as a sweetener, as it is the easiest for most people to digest and does not spike the blood sugar. This is also dairy free! Coconut milk makes a great substitution for milk or cream. This decadent dessert is smooth and rich…I only needed a few spoonfuls to be satisfied. 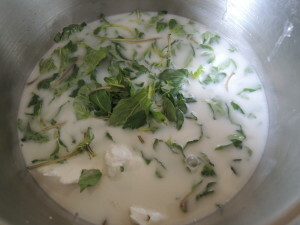 Coconut milk and fresh mint leaves. 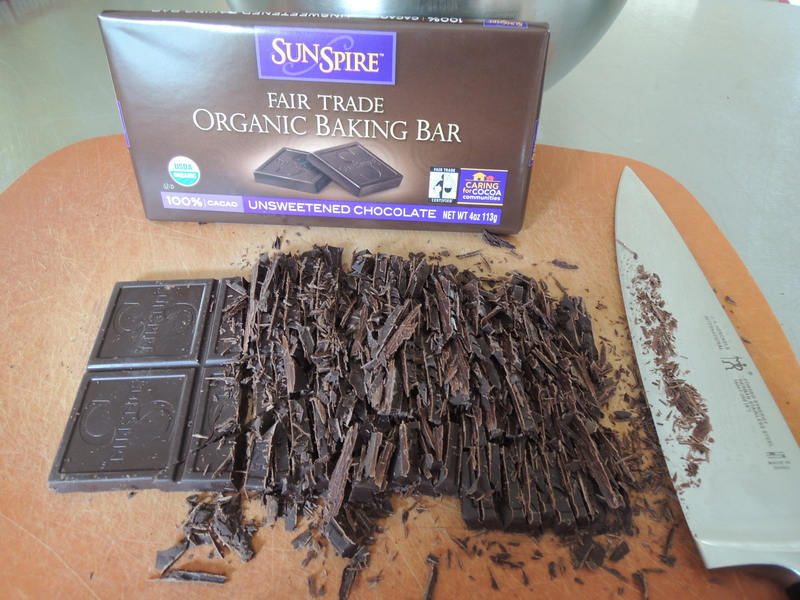 100% cocoa baking bar. Chopped finely for easy mixing. Slowly mixing milk/egg base with chopped chocolate. 1. Finely chop chocolate, place in a bowl and set aside. 2. In a saucepan, combine coconut milk and chopped mint leaves. Simmer (do not boil!) for about 10 minutes, or until the mint leaves have released their flavor. Strain out mint leaves. 3. Whisk eggs yolks in a bowl and add about a tablespoon of the hot coconut milk. Mix well. Slowly add remaining coconut milk to egg until fully incorporated. 4. Combine coconut milk/egg mixture with raw honey and sea salt back into the saucepan. Heat at low/medium heat (do not boil), stirring constantly until it forms a smooth custard and coats the back of a spoon (about 12 min). It should reach a final temperature of 175 degrees. Remove from heat. 5. Set a fine-mesh strainer (or cheesecloth) over the bowl of chopped chocolate. Pour the custard through the strainer to remove any lumps. Let the hot custard sit on top of the chocolate for about 5 minutes or so. You want the chocolate to get warm and melty before you mix them together. 6. After the 5 minutes is up, with a spatula, slowly and gently mix the two together. 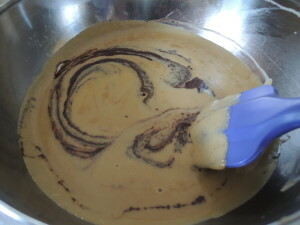 A slow mix is essential to a stable emulsion. Once you’ve got a smooth mixture, stir in the vanilla extract. 7. Pour custard into 2 oz ramekins or cups (I used espresso cups). Let come to room temperature and then cover with plastic wrap. Place pots de creme in the refrigerator to set-up for at least 4 hours. I find that 24 hours gives a richer texture. 8. When ready to serve, remove from fridge and let sit at room temp for about 10 minutes. Optionally top with whipped coconut cream and fresh mint leaves. Ready to eat in cute espresso cups. Consuming foods that have nutritional value has become very important to me. As most of you know, I am an experienced pastry chef. 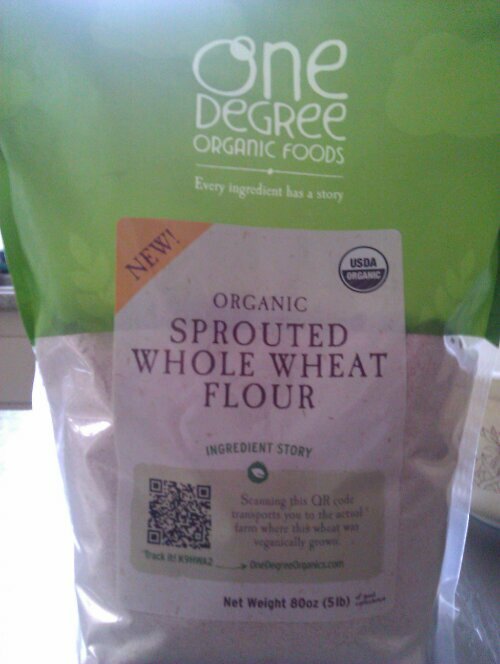 It has been fun experimenting in the kitchen with new sugars, flours and fats. 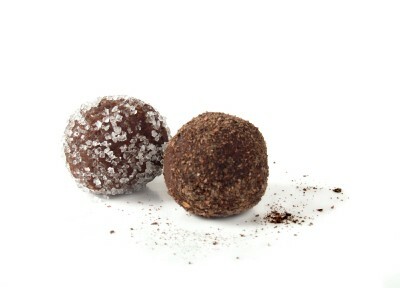 I have developed tasty organic chocolate truffles infused with nutritional oils. One truffle will contain a day’s nutritional value of omega 3-6-9. A combination of organic, cold pressed oils will provide omega 3 fatty acids: alpha-linolenic acid, docosahexaenoic acid, omega 6 fatty acids: gamma-linolenic acid, omega 9 fatty acid: oleic acids and medium chain fatty acids: Laurie acid, caprylic acid and capric acid. Adding these good fats to your diet will provide you with more energy and actually burn body fat when combined with exercise. They will also help digest your meals and absorb the vitamins and minerals easier.